Tickets are on sale now for a Trivia Night to raise funds for innovative programs that benefit students in Pattonville classrooms. 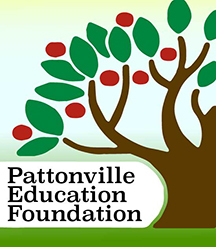 The Pattonville Education Foundation (PEF) is hosting its annual Dinner and Trivia Night at 5:30 p.m. March 2 at a new location, the St. Ann Community Center, 1 Community Center Drive in St. Ann. The popular event will feature a beach theme, trivia, dinner buffet, silent auction, games and more. Tickets are $35 per person or $280 for a table of eight and must be purchased by Feb. 22. Please send checks payable to the Pattonville Education Foundation, 11097 St. Charles Rock Road, St. Ann, MO 63074. Download a ticket order form at bit.ly/PEFDinnerTrivia19. Contact Sue Stricklin at (314) 223-7317 for more information. All proceeds benefit the PEF programs that support Pattonville students and staff, including the educator grant program and annual student book fair. The PEF has awarded nearly $270,000 in grants since it was established in 1994.